We are sure we can help you solving your issues. Don’t hesitate to contact us through support@onsign.tv. Even if you are sure about your decision, we would like to know what made you take this step. We always welcome suggestions to improve the platform! To delete your account, follow the steps below. Mind that there is no way back: Once the account is deleted, you won't be able to recover your content. 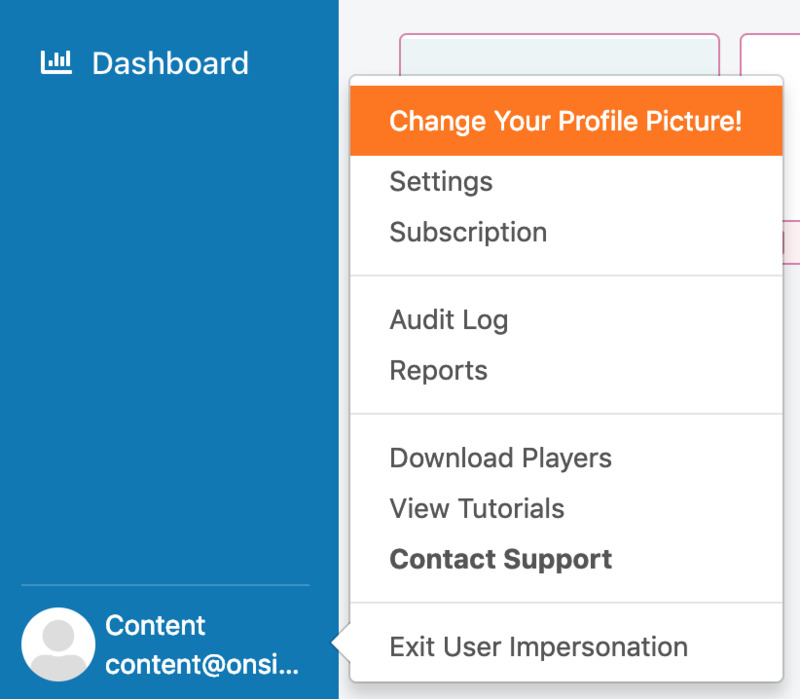 In your OnSign TV account, click on your username on the bottom-left corner. Then, select “Settings” from the menu. Scroll down the whole page until you reach the “Account Removal” box.